The smart home technology on the market has come on leaps and bounds in recent years, but how do you go about incorporating it into your design? Think smart home technology and your mind will probably conjure up state-of-the-art cinema rooms, but options reach much further. Options broadly consist of multi-room audio and/or visual, intelligent lighting, HVAC (heating, ventilation and air conditioning) –which may or may not be linked to blind control – internet provision and security. “The most popular are audio, video and lighting, but heating control is pushing to the forefront, too,” says Brilliant’s Iain Shaw. It’s easy to see technology as a bit of a luxury, if the budget allows. If the budget doesn’t look so healthy, then it’s perhaps an area that most look to cut first. But in this day and age, should we really be considering smart home solutions as a bolt-on, or has technology become an intrinsic part of the building and renovating process that should be treated as a cost centre, like kitchens and bathrooms? With an overwhelming number of options, how do you begin making choices? And what can be achieved on a modest budget? Thinking about the way you’d like to live in your new home, and perhaps putting together a wish list, is a good place to start. To do this, you could begin by visualising how you hope to use each room. “The kitchen, for example, has become a multi-purpose room where you may check emails, watch TV or listen to music while cooking, or where children may do their homework on a laptop,” says Face to Face Digital’s Will Brocklebank. So provision for internet – be it wired or wireless – is something to give serious thought to. 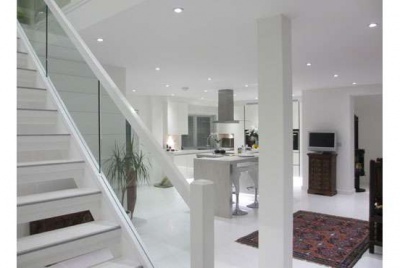 It’s essential to consider how the house will function as a whole, too, and decide whether you’d like some degree of integration, such as the option to switch off lighting and electrical devices (with the exception of the fridge and alarm clock!) from a central control, or the ability to stream Sky+HD on a couple of TVs. If you plan to live here for the foreseeable future, deciding how your changing needs will be met should also shape your plans. A specialist installer/designer can really come into their own whilst you brainstorm, making suggestions you’d perhaps never considered, or thought impossible. They can also help whittle down your wish list to reflect your priorities and budget. Why is a Wired Infrastructure so Essential? In an age where wireless is readily and cheaply available, why go to the trouble and expense of introducing a wired infrastructure? The answer is pretty simple: web browsing aside, if you want to introduce technology within the home then a wired infrastructure is the basis from which it will work. If you’re building from scratch, and intend to remain in the house for the foreseeable future at least, then experts agree it makes absolute sense to future-proof in this way. It’s also a good selling point if you’re moving on. There’s two main ways to achieve a wired network: employ an experienced electrician to install the cabling for you, or approach a smart home design/installation specialist. The benefit of a specialist design/installation company (find one through CEDIA) is that they’ll design the wired system with your present and future needs in mind. “Qualified electrical and/or aerial installers can also run the cabling properly, away from electrical and aerial cables. For a typical four-bed home then you’re likely looking at a day’s labour, plus a couple of hundred for the cabling,” says WyreStorm’s Adrian Ickeringill. There are a few points to bear in mind. “Cat5 and Cat6 has to be properly terminated, and once installed your network should be tested and you should be given printed results,” advises Will Brocklebank. Cables should also be routed back to a central location, such as in an understair cupboard, and be clearly marked. For more detailed advice, check out CEDIA’s comprehensive wiring guidelines. A wired infrastructure can also be introduced within an existing home, with cabling even run discreetly on a house’s façade if required. You may have also heard of Cat7 and Cat8 (which aren’t as yet ‘ratified standards’), and it’s tempting to ask, why not install this to future-proof? “There is Cat7, too, but it’s very unlikely you’ll need the bandwidth it delivers in a residential property in the near future,” assures WyreStorm’s Ickeringill. 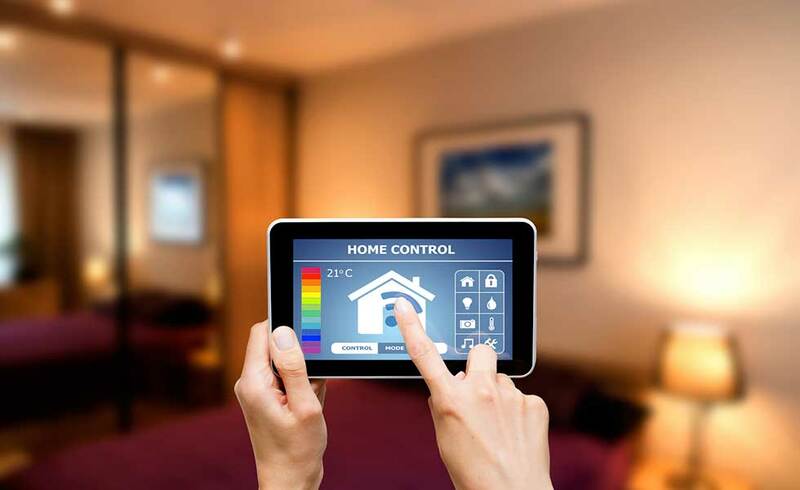 What Should Your Budget be for Smart Home Technology? When it comes to home technology, the sky really can be the limit, and a fully integrated whole-house system with lots of features, programmed back to a central control, is likely to set you back tens of thousands. So what can be achieved on a more modest budget? 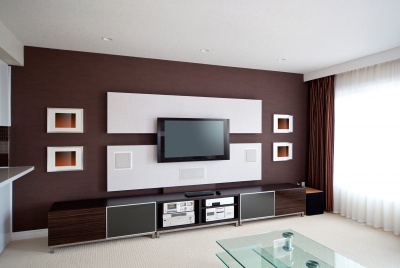 Multi-room audio provides the option to play the same music across every zone/room or choose different music (and volumes) in different zones. Visual from multi-room systems which allow you to stream HD inputs (such as Sky+HD, Blu-ray or a PS3) to a number of HDTVs in the house, to cinema rooms utilising ‘invisible’ speakers (check out Amina), which can be discreetly installed in the walls and plastered over — a good solution for period homes. 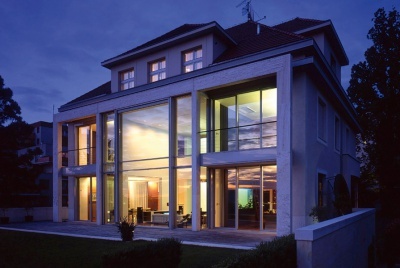 Lighting: from remote control of the lighting ‘moods’, to energy-saving dimmers, to whole-house intelligent lighting which mimics your daily use whilst you’re on holiday. 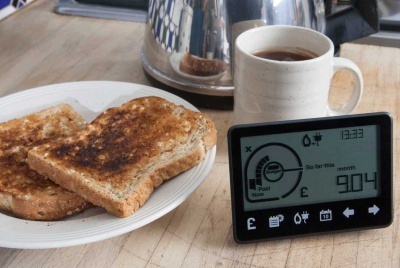 Smart heating controls are very important as we become increasingly aware of our energy use (and subsequent utility bills). Options include controls or smartphone and tablet apps which allow you to monitor and fine-tune the temperature in each room. And, a key benefit is that heating controls are noninvasive, meaning they can be retrofitted with ease, even in listed homes. Loxone would be a worthy addition to this article for Home Automation. I will be absolutely honest, I work for Loxone. Although this is me as a self builder as a system it basically covers all of the above, often for a price less than some of the above. Worth checking out.